What just happened? A legal spat between the real-life Pinkerton Consulting & Investigations agency and Take-Two Interactive/Rockstar over the former's appearance in Red Dead Redemption 2 has come to an end after the game companies dismissed the lawsuit. It was revealed earlier this year that Pinkerton Consulting & Investigations, now a subsidiary of Swedish security firm Securitas AB, had sent a cease-and-desist letter to Rockstar and Take-Two in December over the use of its name appearing in Red Dead Redemption 2. It alleged trademark infringement, saying that no permission was given for the name to be used. There were also objections to the agents appearing "as villains, hunting the game's protagonists." The company asked for a single lump sum or a share of the game’s royalties. 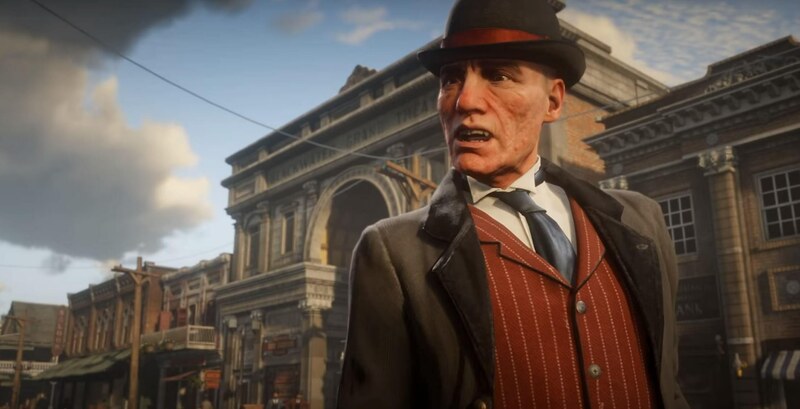 In response to the letter, Rockstar and Take-Two filed a joint lawsuit in January that claimed the use of the Pinkerton name is protected under the First Amendment, and that it’s part of the game’s historical setting. "Put simply, [Pinkerton] cannot use trademark law to own the past and prevent creators from including historical references to Pinkerton agents in depictions of the American West," Take-Two said at the time. GameDaily.biz reports that the lawsuit has now been voluntarily dismissed, bringing the dispute to a close. "Take-Two can confirm that the present day Pinkerton Consulting & Investigation company has withdrawn its claims against Red Dead Redemption 2, and Take-Two will not continue legal action against Pinkerton. Red Dead Redemption 2 is a work of fiction set in the late 1800s that references historical entities active during that time," said a company spokesperson. The Pinkerton name has appeared in plenty of other mediums over the years, including TV shows such as Deadwood, movies, and music. It was also used in BioShock Infinite.